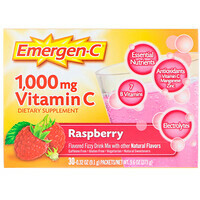 Emergen-C Blue fizzy vitamin drink mix offers a delicious avenue towards a healthier you and a healthier planet. For every box sold, 20¢ benefits Surfrider Foundation in its efforts to improve water quality. So do the right thing for your body and our bodies of water. 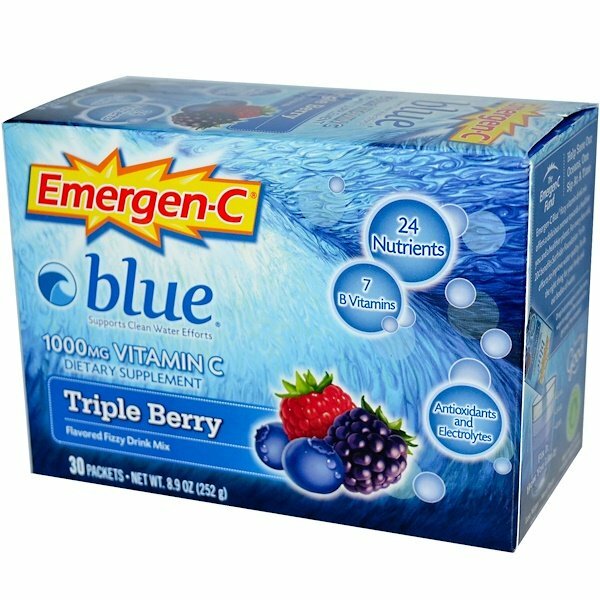 Age 14 and up, one packet up to 2 times per day. Empty contents into a glass, add 4-6 oz of water, stir. 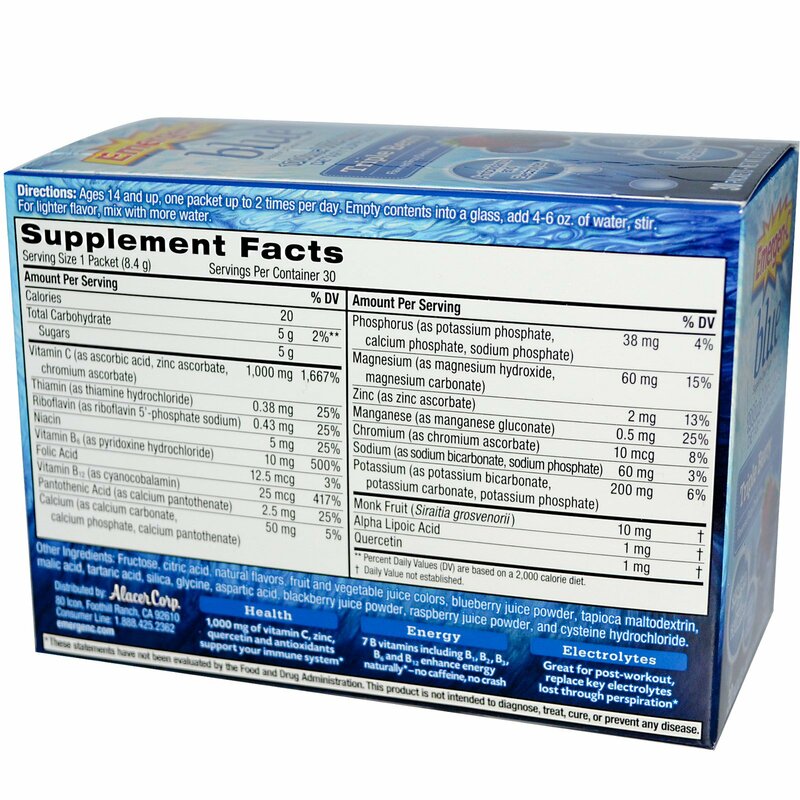 Fructose, citric acid, natural flavors, fruit and vegetable juice color, blueberry juice powder, tapioca maltodextrin, malic acid, tartaric acid, silica, glycine, aspartic acid, blackberry juice powder, raspberry juice powder, and cysteine hydrochloride.